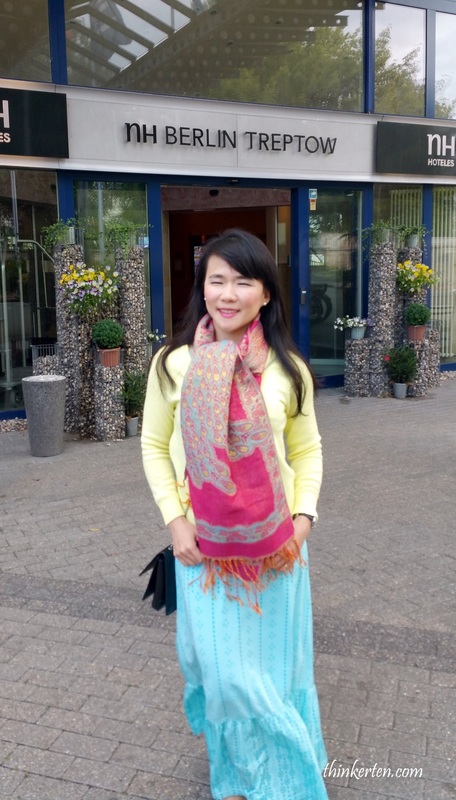 We checked out early in the morning from Berlin Treptow Hotel and moved to Dresden. It took us more than 2 hrs to arrive in Dresden. 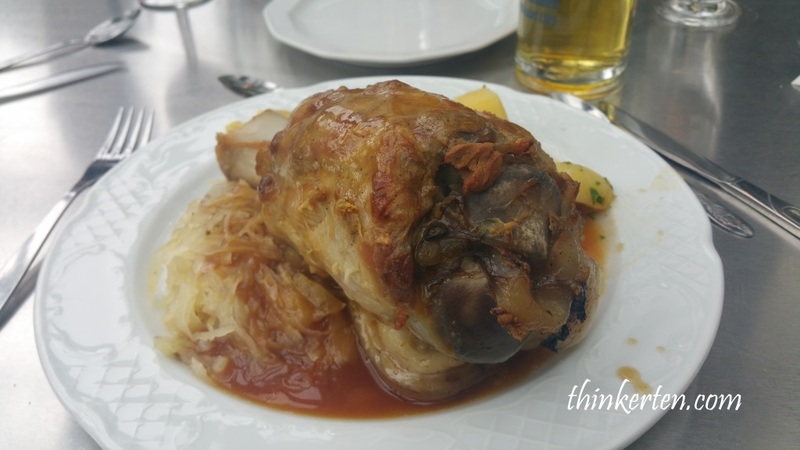 We stopped for German Pork Knuckle lunch, the portion was not that big compared to the normal German Pork Knuckle, I think the owner has tailored to the Asian appetite standard which is small in portion. I managed to finish the whole pork knuckle, it went very well with the pickled radish. 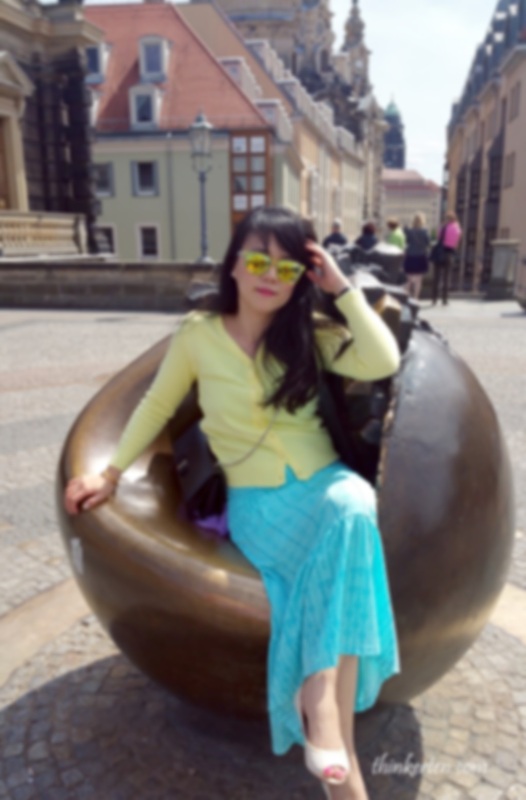 Dresden is still in Germany but it is very near Czech Republic, only 2 hours drive. 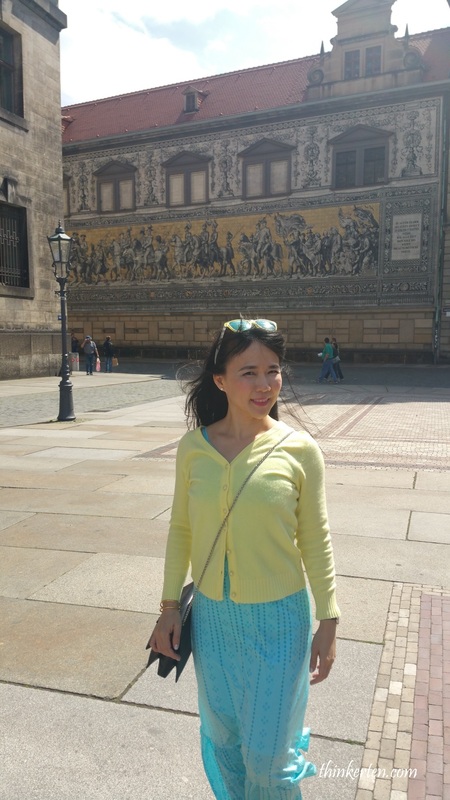 It was a sunny day in summer when we arrived in Frauenkirche Dresden. 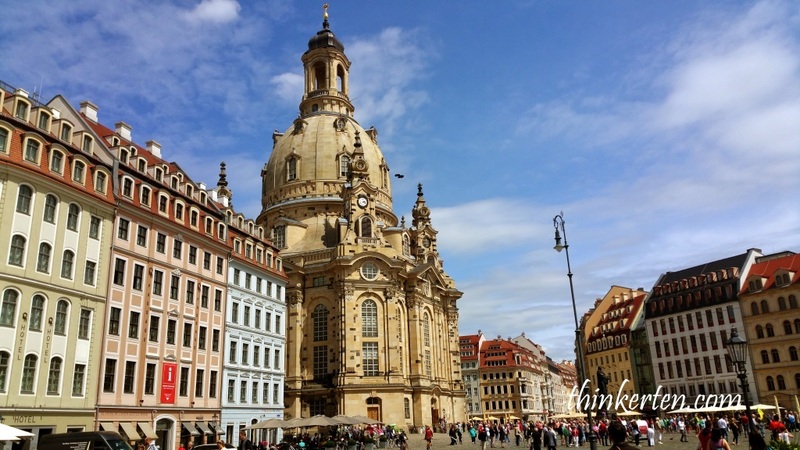 This could be the main landmark in the center of Dresden. I went inside the church and was amazed by the craftsmanship. I also find the seating in the church is in a circle, which is a bit unusual. More like a concert hall to me. The top of the building is also very round which look very different from the other church I saw. Weather was warm at around 2pm and there is this cute round seat in the middle of the Bruhl’s Terrace. This place is also known as “Balcony of Europe”. I took a seat and enjoy the beautiful view in front of me. 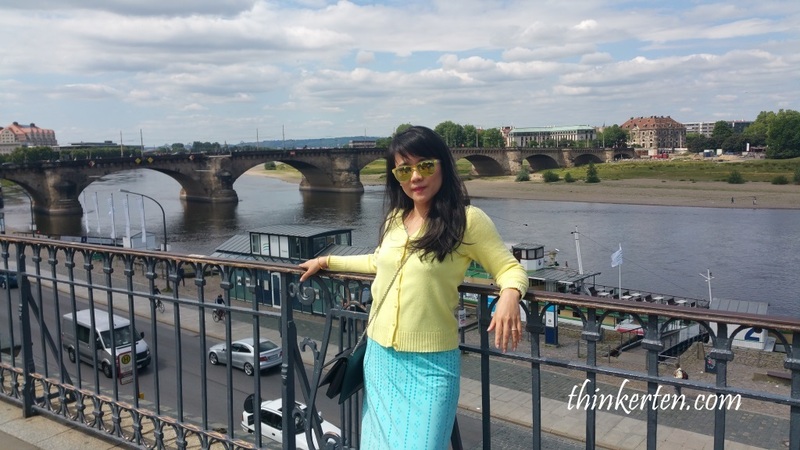 In front of the little cute round seat was the beautiful Elbe River in Dresden. 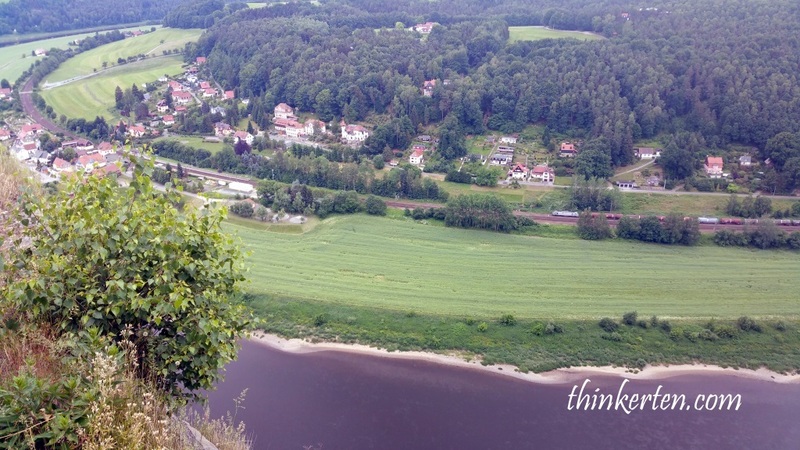 Elbe River is one of the major rivers in Central Europe. When I think of Dresden, I relate to this 102m mural porcelain artwork. If you get closer to the mural, you will see the story of this artwork. The title of the artwork is called “Procession of Princes”. There are some princes and noblemen on the horses and some commoners walking on foot. With a length of 102 meters and a height of 10 meters it is world’s biggest porcelain mosaic. Coincidentally my yellow cardigan matches so well with the color in the mural. Zwinger mit Semperbau is museum located in 18th Century palace and showcases the Dresden porcelain collection, scientific instruments collection. There was a band playing some music when we entered this old palace museum. 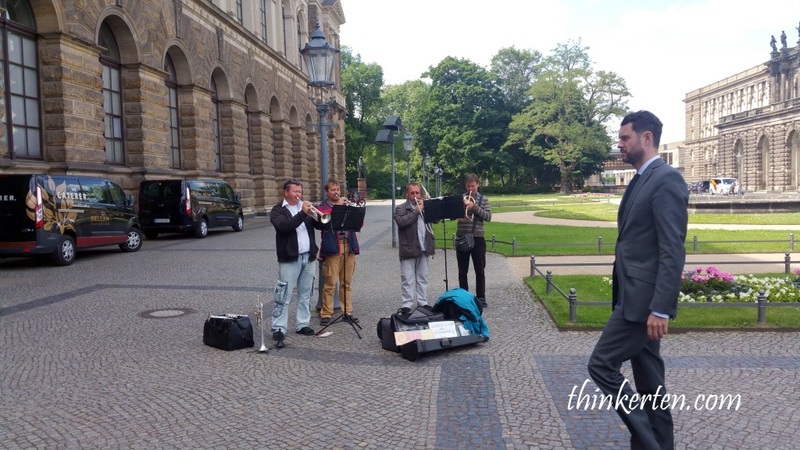 These guys were talented musician and can play many national anthem of different countries. So when you walked in, you feel like the royal family. They played “Majulah Singapura” when we entered the old palace museum. In return I gave them few tipping. This is one of Germany’s finest public squares, the area is very big which has few architectural wonders. We took pictures of this big square with the beautiful architectural building and statue. This is about 1.5 hour from Dresden. 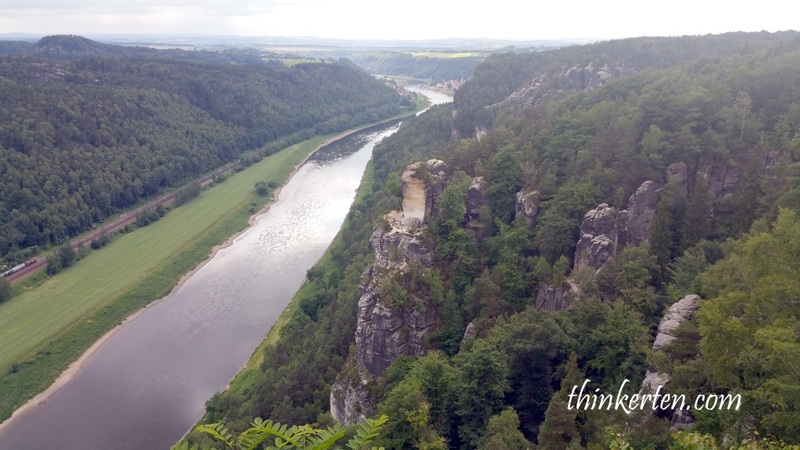 By the time we reached Bastei Bridge, it was almost 5-6 pm. We were lucky because in summer we have longer sunlight. 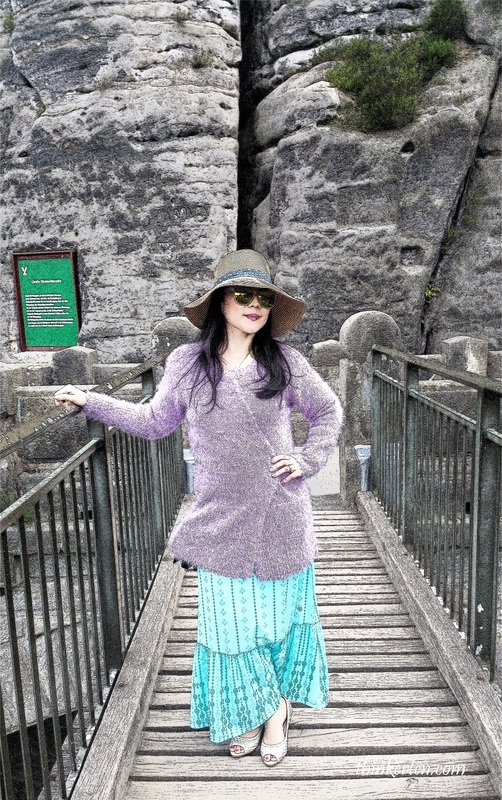 Bastei Bridge is a scenic place located in the mountain. People rushed here to see the magnificent mountain formation. Again, this is the Elbe River, the second time I saw Elbe River today. This is definitely a very long river. When we reached here at around 6 pm, there were not much sun and I started to feel cold so I wore my second layer of cardigan to get me warmer. I think people who lives around in this area have a longer life span, breathing in clean air and surrounded with beautiful nature. 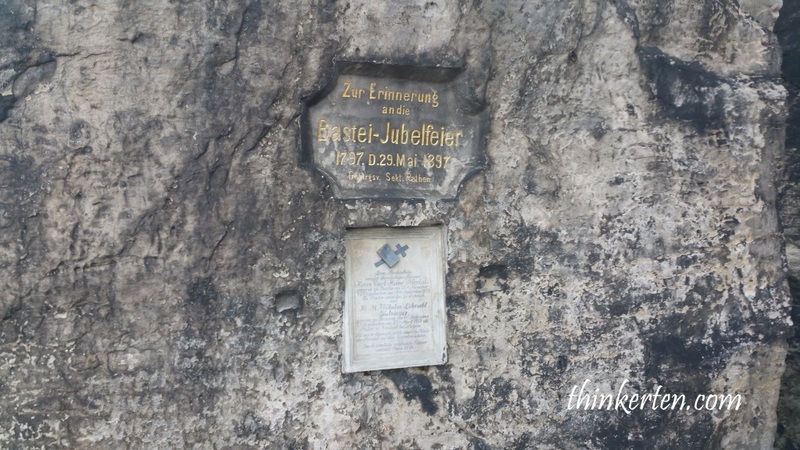 Memorial tablet on a rock by the Bastei bridge. 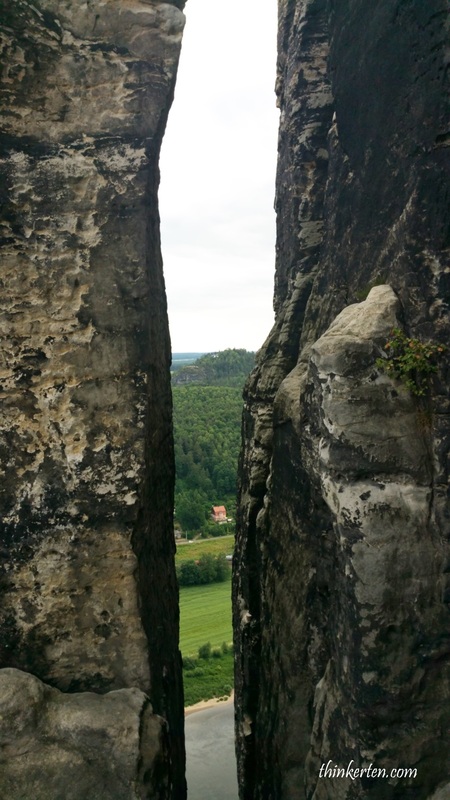 Bastei Bridge is actually a sandstone bridge which connects these beautiful formations and gives the amazing views to the mountains around and Elba river below. Great mountains formation, it look a little bit like the “The Three Sister” in Blue Mountain, Australia. 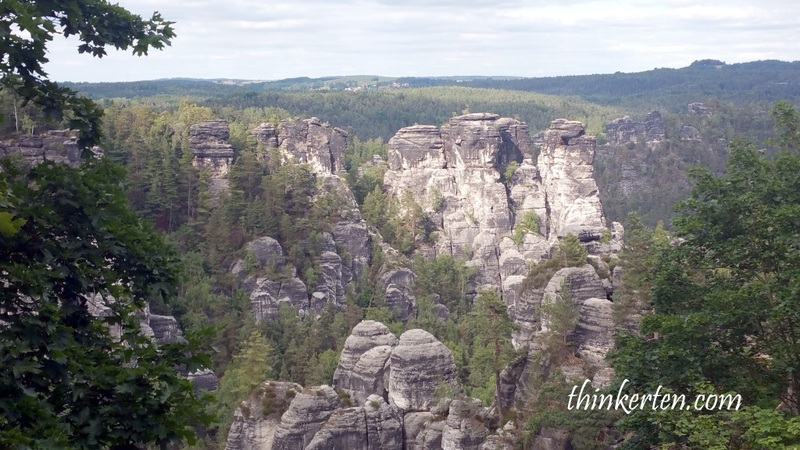 Of course the rock formation in Bastei is lot more here.